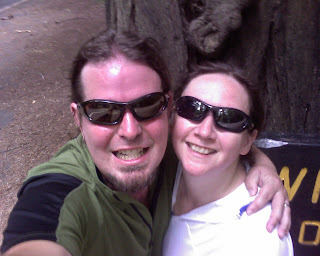 Wil and I have been on holiday all week, but we did manage to get two runs in -- 4.59 miles along the river in Portland on Tuesday, plus 4.2 miles on the Avenue of the Giants this morning. Rewarded ourselves with a Calistoga mud bath today. Tomorrow SF.